"Love this place! I finally found an optical business that I can trust. From the moment I walked in the door I was well taken care of. The doctor, Terri and her staff know what they are doing! They helped me to actually like wearing glasses and made sure I was very comfortable with them and also my contacts. I was treated so well by everyone. You won't be sorry if you make this your go-to place for good quality, fashionable glasses and contacts!" "I stopped at Gold Circle because I had a hard time finding what I wanted at the big shops near me. The first thing I found here was caring, thoughtful service. My old glasses were adjusted perfectly and she gave me advice about quality aspects I should look for in the wireless frame I wanted. Since then I have been back for two more pairs and am extremely happy. I got a nasty scratch on one pair and the lens was replaced after a full year....at no charge. I didn't know they were on warrantee and would have gladly paid for it. 25 years of buying frames and lenses and this is the very best, for careful fitting and continued care." "Gold Circle Optical is awesome! They have top quality equipment for eye exams and a wide variety of unique eyeglasses. The owner wants the best for her customers and works to ensure that they are all happy at the end of the day. If you are looking for quality glasses and wonderful service, Gold Circle Optical is the place for you!" "Friendly owner. Really takes the time to get to know her patrons & goes above & to make sure that your needs are met. Highly recommend!" "Great customer service! Always takes the extra step to help and make you happy! Love coming here for all my glasses and contacts." 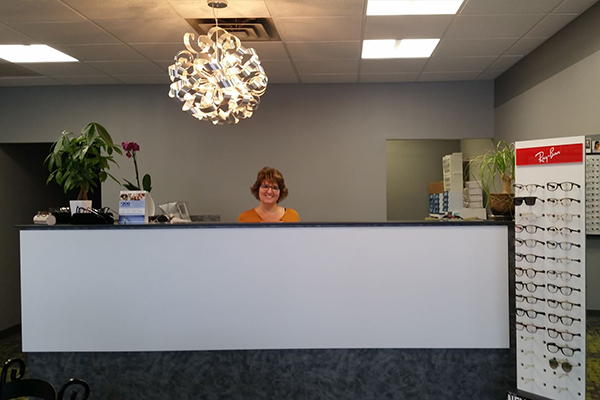 "I have been to MANY optical and vision businesses over the last 20 years and this place was my first 100% positive experience. Terry was awesome! Professional, NOT pushy, did not try to "oversell", but also advised with all options. I did not feel rushed and was treated as a valued customer. The doctor was wonderful. He was knowledgeable, professional and also gave me options and explained every single thing step by step. Thank you!"